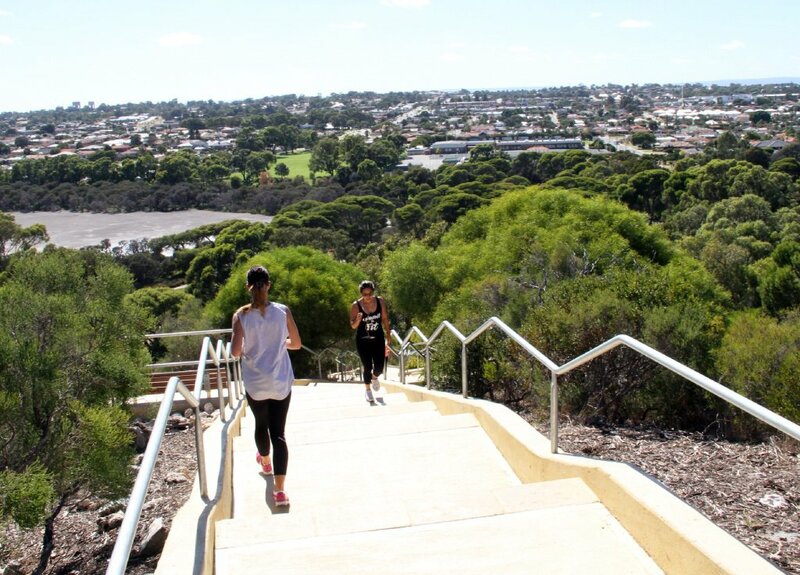 PERTH people getting their exercise fix at Jacob’s Ladder were stopped in their tracks last month when the popular recreation point was closed for a structural survey. However, the hundreds who frequently tackled the 242-step structure have not turned to Cockburn for a similar stair climbing experience. City of Perth said Jacob’s Ladder would be closed for an extended period, pending results of the survey and despite the closure, Cockburn’s engineering and works services director Charles Sullivan said there had not been an increase in the usage of Manning Stairs. “The City hasn’t noticed any significant change in visitor numbers,” he said. “The stairs remain very popular and visitor numbers seem to have slowly increased since the opening.”Manning Stairs, a 192-step build at Manning Park in Hamilton Hill, opened in September.